The Venus de Milo was discovered on this day in 1820, on the island of Milos. 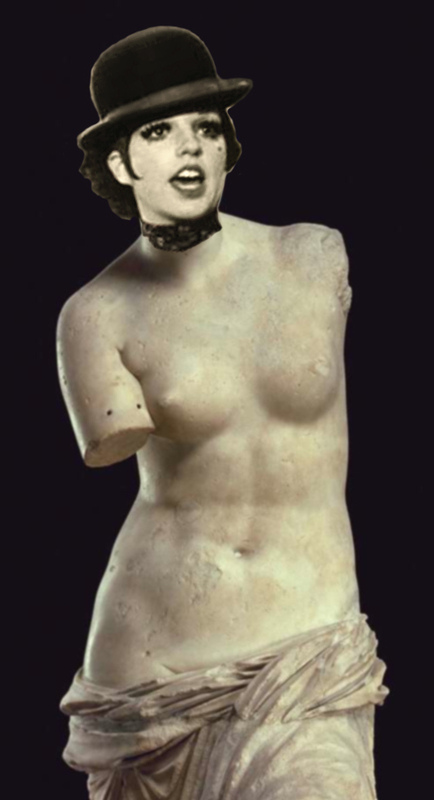 The famous armless statue of the goddess Venus is now displayed at the Louvre in Paris. “April in Paris” was one of the famous songs written by lyricist “Yip” Harburg, born April 8th, 1896. Harburg is best known for the lyrics of “Over the Rainbow,” introduced by Judy Garland in “The Wizard of Oz.” Garland’s daughter, Liza Minnelli, starred in the movies “Cabaret” and “New York, New York,” both with lyrics by Fred Ebb (born April 8th, year disputed). It was somewhere over the left centerfield fence at Fulton County Stadium in Atlanta, Georgia that Hank Aaron’s 715th home run landed on April 8th, 1974. The Braves slugger broke Babe Ruth’s career record during Atlanta’s home opener of the season. Aaron eventually hit 755 homers…a record that stood until August of 2007, when Barry Bonds surpassed it. Georgia native G. Harrold Carswell struck out as a Supreme Court nominee, by a 51-45 vote of the U.S. Senate on April 8th, 1970. Federal judge Carswell was Republican President Richard Nixon’s second straight Supreme Court nominee to be turned down by the Democratic-controlled Senate. Nixon blamed an anti-Southern bias for Carswell’s defeat. Carswell blamed liberals for opposing him, and later that month, he launched a campaign for the U.S. Senate from Florida to avenge the vote against him. He lost the Republican primary. Neither Florida nor Georgia has ever ratified the 17th Amendment to the Constitution, allowing the popular election of U.S. Senators. On this date in 1913, Connecticut became the 36th state to approve the amendment, insuring its passage. In 1899, the Opel Company of Germany made its first automobile. Before that, Opel had specialized in bicycles and sewing machines. 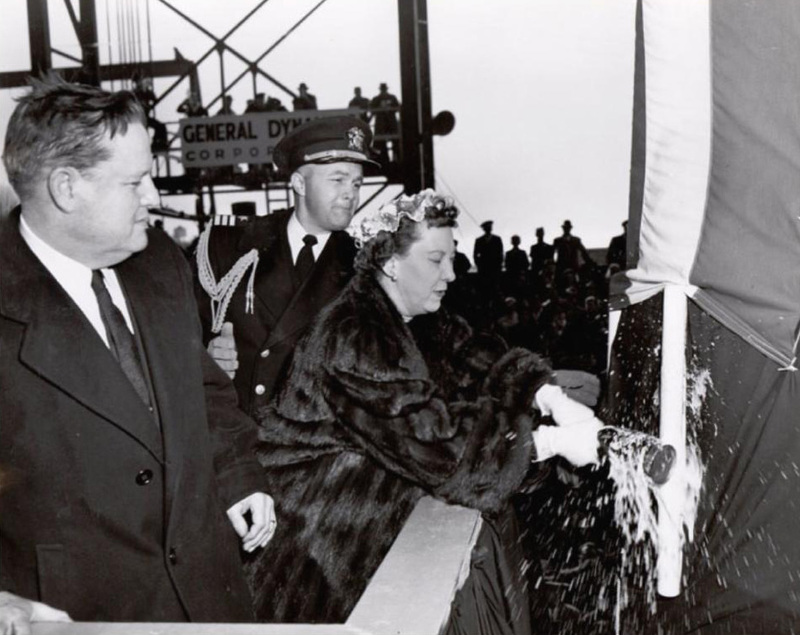 The first nuclear submarine, the USS Nautilus, was launched by First Lady Mamie Eisenhower in Connecticut on January 21, 1954. Six years later, in 1960, a female monkey named “Miss Sam” was launched into space from a base in Virginia, in a test of the Mercury spacecraft. A different way to fly was introduced by the British and French on January 21, 1976, when the two countries began supersonic passenger flights by the Concorde. And the father of “The Flying Wallendas” high wire act, Karl Wallenda, was born on January 21st of 1905. Spectators at the Louvre museum in Paris couldn’t find the “Mona Lisa” on August 22nd, 1911. 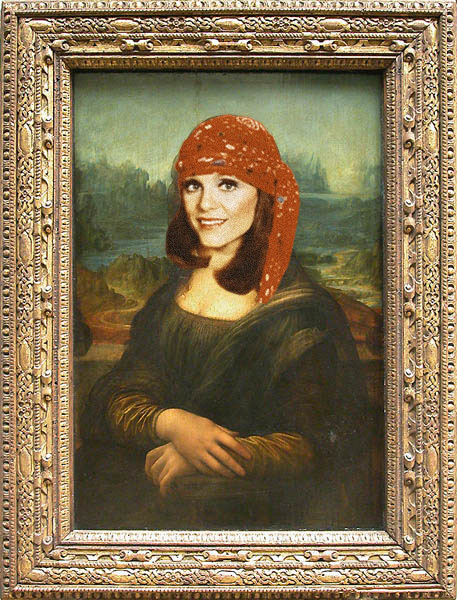 Leonardo da Vinci’s masterpiece was missing from its usual spot on the wall, because it had been stolen the night before. The famous painting remained missing for two years, hidden for most of that time in the apartment of the thief, a Louvre employee from Italy. The gravesite of Richard III, England’s last Plantagenet king, was considered lost for centuries until researchers found it in 2012, under a parking lot in Leicester. Richard was killed on this date in 1485 during the Battle of Bosworth Field. Richard had been king of England for only two years. His death put Henry Tudor on the throne, as Henry VII. In Shakespeare’s play “Richard III,” Richard calls out “My kingdom for a horse” shortly before he is killed. The “horseless carriage” was becoming popular by 1902, when the Cadillac Automobile Company was founded on August 22nd from what used to be the Henry Ford Company. Henry Leland was brought in to close down the old company after Ford left the firm, but he decided to keep it going under the Cadillac name. Another powerful man named Henry — Henry Kissinger — was nominated as secretary of state by President Nixon on August 22nd, 1973. Kissinger had become famous for “shuttle diplomacy” as Nixon’s national security adviser. Author WilliamsProjectsPosted on August 22, 2018 August 20, 2018 Categories August, Today in history, TriviaTags Automobiles, Bridesmaids, Cadillac, Connecticut, Henry Ford, Henry Kissinger, Henry Leland, Kristen Wiig, Leonardo da Vinci, Louvre museum, Mona Lisa, President, Rhoda, Richard III, Richard Nixon, Saturday Night Live, Theodore Roosevelt, Valerie Harper, Vietnam WarLeave a comment on OH, HENRY! According to some aviation experts, the first official airplane flight in America happened on this day in 1901 in Connecticut. Gustave Whitehead claimed that he flew a plane half-a-mile and reached an altitude of 50 feet. That was more than two years before the Wright Brothers achieved their famous flight at Kitty Hawk, N.C. In 2013, the governor of Connecticut signed a law officially declaring that Whitehead’s August 14th flight was the first powered airplane flight in the U.S.
On August 14th, 1893, the world’s first automobile license plates reportedly were issued in Paris. August 14th is the birthday of “Planes, Trains, and Automobiles” star Steve Martin (1945). Oh, did I forget to mention trains? Crosby, Stills, and Nash had a famous song about a train in Morocco called the “Marrakesh Express.” Singer and musician David Crosby was born on this date in 1941. Many electric trains in the northern U.S. stopped working on August 14th, 2003, when a control room problem in Ohio led to the largest blackout ever in North America. More than 50 million people were left without power in eight states and much of eastern Canada. One of the worst circus fires in U.S. history occurred on July 6th, 1944, in Hartford, Connecticut. More than 160 people died and hundreds more were injured when the Ringling Brothers big top caught fire and collapsed within minutes. Two young people who survived the Hartford fire and later became famous were actor Charles Nelson Reilly and drummer Hal Blaine. Among the many famous performers Blaine worked with on records was John Lennon. On this date in 1957, 16-year-old Lennon and his band the Quarrymen were about to perform at a church social in Liverpool, England when he was introduced to 15-year-old Paul McCartney. Only seven years later, Lennon and McCartney became movie stars when the first Beatles movie, “A Hard Day’s Night,” premiered in England on July 6th, 1964. On the day that “A Hard Day’s Night” made its debut, future president George Walker Bush turned 18. His father, George Herbert Walker Bush, was running for a U.S. Senate seat in Texas that year. The older Bush lost that election, but he rose through Republican ranks to become vice president under Ronald Reagan, and then president himself. First Lady Nancy Reagan, born July 6th, 1921, was Ronald Reagan’s second wife, and he was the first divorced man to be elected president. When England’s Henry VIII wanted to end his first marriage to wed Anne Boleyn, one of his chief opponents was Lord Chancellor Thomas More. For opposing the king, More eventually was convicted of treason, and was beheaded on July 6th, 1535.